Having Problems with Digital Freezing or Missing Channels? Has your TV picture become increasingly poor quality? This may indicate that you need your aerial system checking. With the introduction of 4G mobile phones some households are experiencing a lot of interference. We can eliminate this problem. 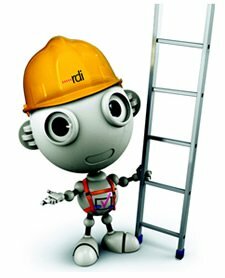 We provide a free quotation and use the best equipment to ensure that you receive the highest quality signal available at your location. We supply and install benchmarked, high quality digital aerials, masts and low loss down leads to ensure that you get the highest quality viewing experience possible. 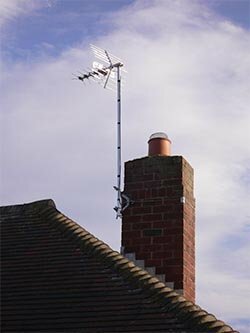 We tune and set up your TV / Freevew box as part of installing a new aerial. Why not upgrade your viewing through a HD Freeview adaptor box. This allows you to watch High definition pictures on your existing TV or upgrade to Freeview + which allows you to watch one channel whilst recording another. We supply and fit both Freeview HD and Freeview + boxes and upgrade your aerial if required, we set up and demonstrate how to use the box. If you have just purchased a new DAB radio or a FM radio and are disappointed with the quality of your sound, this could be due to you not having the correct antenna. We can install the correct equipment, often installed in your loft, to ensure that you receive a fantastic audio experience.